Main purpose of this report is to analysis Performance Appraisal of The Activities of Human Resource Department of Prime Group of Companies. PGC is definitely an internationally reputed Company operating in Bangladesh who maintains an outstanding and distinct culture inside the Garments industry with regard to the quality of it is manpower. The highly qualified and trained manpower on the Organization has made the item possible to stand out as one of the good Company having excellent performance. Strictly adhering on the selection and recruitment policy has enabled this Organization to recruit the best people from the employment market. The methodology of the report includes direct observation, oral communication with the employees of all departments of Local Branch and Head Office, studying files, circulars etc and practical experience. This report is basically qualitative in nature. But the report includes both quantitative as well as qualitative data. In this report no hypothesis is considered. Methodology of my internship was practical and on job tactic. I have attended Human Resources Department of Prime Group of Companies to study and gather all information daily bases. Face to face interview of different employees and officers. Personal observation of different activities. Annual HRM report of Prime Group of Company 2007 – 2008. Desk report of the related department. Prime Group Is One Of The Leading Manufactures And Exporters Of Readymade Garments In Bangladesh. Since Its Inception In 1984, The Group Has Been Able To Create A Distinctive Image Amongst American & European Garment Buyers As Makers Of High Quality Garments. We Specialize In Heavier Weights & Bottom Line Garments Such As Pants, Shorts, Bermudas, Skirts & Skorts. We Also Make Overalls, Shortalls, Jackets And Shirts. Right from its inception the policy of the company has been to provide total buyer’s satisfaction by offering quality garments in time to meet the commitments of quality and prompt delivery. In each stage of production we maintain close monitoring and ensure quality. Main strength manner of this company is planned infrastructure, which is reinforced by 1000 employees, who from the background of the company. Employees are trained with teamwork culture, department are headed by qualified and experience managers assisted by executives who undergo continuous new developments training. 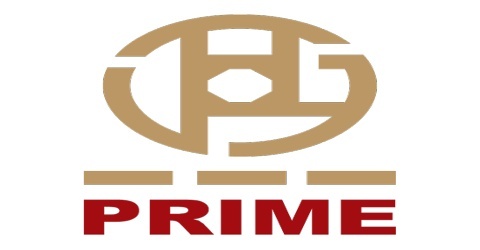 Prime Group of Companies is the largest Garments in Asia. It has evolved into Garments and Fashion with interests across the entire World. Capacity to undertake Specialized and on-demand printing and publishing. The Human Resource Manager currently heads this department. The major functions of this department are strategic planning and policy formulation for Compensation, Recruitment, Promotion, Training and developments, Personnel Services and Security. The HR department is very much concerned with the discipline that is set up by the Prime Group of Companies. Prime Group of Companies has got strict rules and regulations for each and every aspect of working process; i.e. The Dress Code. All these major personnel functions are integrated in the best possible way at Prime Group of Companies, which results in its higher productivity. The Human resource executive monitors the employee staffing and administration activities. Like that of any other organizations, the Administration of Prime Group of Companies makes sure that the organizations moves on with all its departments and staffs operating according to all the rules and regulations of the company. It also prevents any bottlenecks within the work process and ensures smooth functioning. The business support services provide supports to the departments during employee leaves and sudden terminations so that the department can function without problems The Training Manager supervise Training, development & rotation activities. Prime Group of Companies believes in the strength of human resource and uses the modern concept of resource utilization. Every job description is carefully designed and modified under dynamic environment. The company believes in the concept of best fit and trains and develops company personnel as the key ‘human capital’ of the company. General Manager of Human Resource department is the head of the department. The Manager HRD & Admin, two Depute Manager Recruitment and Remuneration, Sr. Executive, tree Executive Human Resources, Executive Administration, Officer Human Resources, Time office Assistant, Mailing service Assistant, Administrative Assistant work under General Manager HRD. Prime Group of Companies believes in the strength of human resource and uses the modern concept of resource utilization. Every job description is carefully designed and modified under dynamic environment. The company believes in the concept of best fit and trains and develops company personnel as the key ‘human capital’ of the company. The Human Resource Department thus concentrates all its activities for the development of human resource for the benefit of the company. The department also believes in maintaining harmonious relationship between the management and employees all the times. The department ensures that managerial development contributes to organizational development. The departments’ various activities cover setting criteria for the selection procedures. Interview techniques, training standards etc. According to the PGC policy guideline, the department maintains the personnel through formulation policies on wages, fringe benefits, annual leave, training calendar, provident fund, performance appraisal etc. Remuneration is managed centrally and there is never any negotiation but settlement. It also settles with the trade union for Long Term Agreement (LTA) between management and workers and the ‘collective burgeoning agents’. As the competitive world is changing with the speed of light, Training and Development becomes an integrated part to stay on the top. Thus PGC puts great importance to training and development of managers and employees. The company has Technical Training Center at the Prime Group, which organizes different training programs for its management people around the year. As a subsidiary of PGC sends its managers and employees for training to this training program. The Job; not the person An important concept of Job Analysis is that the analysis is conducted of the Job, not the person. While Job Analysis data may be collected from incumbents through interviews or questionnaires, the product of the analysis is a description or specifications of the job, not a description of the person. The purpose of Job Analysis is to establish and document the ‘job relatedness‘ of employment procedures such as training, selection, compensation, and performance appraisal. A typical method of Job Analysis would be to give the incumbent a simple questionnaire to identify job duties, responsibilities, equipment used, work relationships, and work environment. The completed questionnaire would then be used to assist the Job Analyst who would then conduct an interview of the incumbent(s). A draft of the identified job duties, responsibilities, equipment, relationships, and work environment would be reviewed with the supervisor for accuracy. The Job Analyst would then prepare a job description and/or job specifications. The method that you may use in Job Analysis will depend on practical concerns such as type of job, number of jobs, number of incumbents, and location of jobs. WHAT ASPECTS OF A JOB ARE ANALYZED IN PGC? Duties and Tasks The basic unit of a job is the performance of specific tasks and duties. Information to be collected about these items may include: frequency, duration, effort, skill, complexity, equipment, standards, etc. Environment This may have a significant impact on the physical requirements to be able to perform a job. The work environment may include unpleasant conditions such as offensive odors and temperature extremes. There may also be definite risks to the incumbent such as noxious fumes, radioactive substances, hostile and aggressive people, and dangerous explosives. Tools and Equipment Some duties and tasks are performed using specific equipment and tools. Equipment may include protective clothing. These items need to be specified in a Job Analysis. Relationships Supervision given and received. Relationships with internal or external people. Requirements The knowledge, skills, and abilities (KSA’s) required performing the job. While an incumbent may have higher KSA’s than those required for the job, a Job Analysis typically only states the minimum requirements to perform the job. Job analysis provides two types of information to HR manager job descriptions and job specifications. Accurate job descriptions provide a basis for job evaluation, wage and salary comparisons, and an equitable wage and salary structure. They provide information about the knowledge, training, education, and skills needed for each job. Well-crafted job descriptions prevent unnecessary misunderstandings by telling employees what they need to know about their jobs. They also provide a basis from which to determine whether a disabled applicant is otherwise qualified for the job and, if so, to assist in determining what accommodation would be required for the applicant to be able to perform the essential functions of the position. A description of the worker characteristics required to perform a given job competently. These characteristics must be bona fide occupational qualifications, as opposed to requirements that are artificially inflated and not actually required for competent job performance (e.g., requiring a college degree for all exempt jobs). Specifications, commonly referred to as hiring or background requirements, should be written before advertising or interviewing candidates for an open position. They should support the essential functions identified during job analysis to reduce potential liabilities. Emphasizing the essential nature of the recruiting function in today’s business environment, Peter Drucker notes that “every organization is in competition for its most essential resource: qualified, knowledgeable people” (Drucker, 1992). Today’s successful organizations need to hire the most qualified people they can at the most competitive price. Before an organization is able to hire an individual, it must locate qualified applicants who are interested in working for the organization. How does an organization attract these qualified people? Through the recruitment process, and it represents one of the major responsibilities of the HRM function—a responsibility that if not effectively and efficiently completed can almost single-handedly ensure limited success for today’s organizations. Recruitment is the process by which organizations discover, develop, seek, and attract individuals to fill actual or anticipated job vacancies. Or from another perspective, it is a bridge-building activity—bringing together those with jobs to fill and those seeking jobs. Most organizations have an ongoing need to recruit new employees to fill job vacancies when employees leave or are promoted, to acquire new skills, and to permit organizational growth. In an era when the focus of most organizations has been on efficiently and effectively running the organization, recruiting the right person for the job is a top priority if organizations are to be successful. Recruitment is directly related to both HRM planning and selection. To outline the standards that are expected of new recruits to the PGC, and the processes this will be followed during recruitment and selection. The foundation for this policy is that recruitment should only occur when there is a specific business need to be met i.e. vacant post and that the selection of the appropriate candidate will be on the basis of qualification, performance, potential and aptitude. The decision as to who should be recruited is taken by the Human resource Panel, consisting of the CEO & Director Medical Services, Deputy General Manager Human Resources and other Executives relevant to the position to be filled. There must be a legitimate need to increase the PGC hand count. In all cases the Department Manager who considers that they have a legitimate need to increase their hand count, either because an existing employee has resigned or because the expansion has been agreed as a part of the Area Operating Plan, must submit a request to HR Officer for consideration within existing manning levels and current business priorities for approval by HR Panel. Provided that the request is in line with the Area Operating Plan and current business priorities HR Officer will begin the recruitment process. It will be PGC policy to advertise its vacancies to potential candidates both externally and internally. To meet the occasional need to recruit specialist-experienced employees, advertisements will be placed in professional journals and newspapers both within Bangladesh and overseas as necessary. A copy of the advertisement will also be placed on the PGC Notice Board for internal candidates. Job specifications and job vacancy advertisements will indicate the experience that is required for each job. Such as, when recruiting Assistant Officer’s will be that the successful candidates will posses, as a minimum, a first-degree level of academic education. Candidates for all vacancies will be asked to undertake a range of ability tests prior to their recruitment. The PGC uses standard, professionally developed tests that are considered relevant to the positions of Assistant Officers, Officer and Executives. For more senior positions candidates may be required to undertake a wider range of ability tests or questionnaires and to achieve a satisfactory score in each test. Candidates who successfully pass the PGC ability test will be invited to attend interviews with members of the Human Resources Panel and other Executives deemed appropriate in light of the particular vacancy to be filled. The candidate must provide CHR with the names of three referees all of who will be contacted and references sought prior to the appointments. Referees must not be members of the candidate’s family. The starting salary for all new Assistant Officer will be the minimum of the grade for the position to which they are recruited, unless they have prior experience preferably in a same field for a minimum of two years. New employees will be placed on a probation period depending on their grade. On successful completion of their probationary period the employee will be appointed to the permanent staff. Prime Group, in line with other progressive employees, has for a number of years had programs to intensively developed a few young people who demonstrate very considerable long term potential. These programs aim to ensure that they are able to attract some of the brighter people with well balanced qualifications, graduating from universities, who have the potential to become future leaders of a very successful business which will grow to provide even more job opportunities than at present. Therefore, whilst the Group may continue to promote suitable Officers and Executives from amongst its cadre of experienced staff who demonstrates ability and management skills; it will also periodically use the ROT scheme. This scheme will fall outside our normal promotion criteria. Existing staff that meets the academic and other criteria which is published at the time of recruitment will be encouraged to apply. A separate guide is available from HR Department that provides more details of the ROT programs. Age: preferable no older than28 years, unless for specialist job. Successful completion of ability tests and occupational personality questionnaire. Success at interview with members of the HR Panel. Successful completion of the probation period. Organizations today are increasingly recognizing the importance of developing their human resources. The training function, now popularly referred to as human resources development (HRD), coordinates the organization’s efforts to provide training and development experiences for its employees. Although training is often used in conjunction with development, the terms are not synonymous. Employee training can be defined as a planned attempt to facilitate employee learning of job-related knowledge, skills, and behaviors or helping them correct deficiencies in their performance. In contrast, development is an effort to provide employees with the skills needed for both present and future jobs. The future the only winning organizations will be those that respond quickly to the issue of training and development–related problems. If an organization wants to succeed, it must recognize the importance of investing in its greatest resource—the force working for it. developing human resources as key to organizational success. Developing human resources is the next stage in the process of achieving organizational success. The prime responsibility of the HR Training function is a coordinating role HRD. The training functions will co-ordinate the training needs each year after input via the Appraisal Performance System and Function Heads and submit the training needs for approval by GM HR via the operating Plan process. We are increasingly aware of the need to provide cost-effective training to meet specific requirement at the right time. We have therefore geared ourselves to operate a more flexible approach to training. The HR training function monitors the training budget and produces regular reports, which are sent to the CEO for expenditure and whether or not we are achieving performance improvements following training programmers via the post training action plans agreed. Whilst the thrust of HR Training efforts is on classroom or Group training, the importance of on-the-job learning cannot be overlooked as playing an active role in an individual’s development. It is therefore essential that structured training courses and on-the-job coaching run side by side, as the former provides the knowledge, and guidelines that are further enhanced by the latter. The responsibility of training and developing staff working with them, is adequately spelt out in each Manager’s own job description. The manager clearly has to have committed involvement in his staff if they are fully benefit from their work environment and the training programmers that they may attend- be the job specific needs or development needs. The degree of interest and support given by the trainee’s superior will have a direct bearing on the trainee’s attitude and commitment to the programmer. It is therefore essential that staffs be briefed before being sent for training and debriefed on return to their duties. Identify and report training needs to person responsible for training in HR Department. Identify and provide On-the-Job training solutions where applicable. Report all training received to the person responsible for training in HR department. This provides for a formal, annual review of an individual’s training needs and should be used to review and re-affirm training and development needs identified throughout the year. Interim appraisals of performance, including training needs, will be carried out. Needs noted on the Appraisal form must also be reported to the person responsible for Training form must also be reported to the person responsible for Training so that appropriate action is initiated without delay and a record of the need is provided. A suggested former for this report is the “Personal Learning Log”. A staff member joins the branch/department/section. A staff member takes on new tasks within their current area. A system or procedure is introduced or changed. A jobholder’s performance does not meet required standards. The Head of Section/ Department lists on a training matrix all the tasks carried out in the area. The name of each member of staff in the area is entered on the matrix. Probably with the help of the staff in the area, the Head of section/Department assesses the “Minimum Resources required’ in terms of fully skilled staff to ensure that the task is fulfilled effectively at all times. This is entered on the matrix. Then, for each member of staff, mark on the matrix whether the person is currently capable of carrying out the task. In addition, mark where staffs are approved to train others. If staff would not be expected to carry out task, ensure that this is evident from the matrix. If there is shortfall of capable staff: Primary Training needs must be assigned as appropriate to ensure that sufficient staff are trained for that task. If there is an adequate number of capable staff: Secondary Training Needs may be assigned for that to provide additional cover as appropriate. On-the-Job training is usually the most effective method of provide technical skills training for staff joining sections or taking on new tasks. This form of training should be identified by the Head of the Section/ Department and provided without delay. Normally, the provision of other forms of training, often in respect of the non-technical skills, will be at the discretion of the line management. The person should make appropriate arrangements for the provision of training, other than On-the-Job training, responsible for trainings in liaison with the Head of Section/Department as necessary. Evidence of adequate planning/scheduling is required where a number of training solutions are being addressed in an area. The form that these plans/schedules takes is the discretion of Quality Coordinators/Line Managers. Evidence of periodic review of progress against these plans/schedules is also required. It is the responsibility of the Head of Section/Department to confirm in writing to the person responsible for training, the agreed staff training has been completed and whether it has been effective in meeting the original need. Training log may be used for this purpose. The Training Record of the staff member is updated accordingly. These Training Records may be saved on PC. The matrix is updated regularly (and evidence by initial) by the Head of Section/Department to ensure needs are systematically and regularly reviewed. Top-level decision-making process on compensation, promotion, training, development & appraisal. Communicates with the external and internal entities. Monitors leave, payroll, increment, & allowances etc. Maintain financial flow related to HRD. Generates Report for Audit requirements. Plans for the development of the employee. Arranges training according to the requirements. Ensures standard of the groups. Controls of archive & database & training & performance. Maintains communication among trainer & the trainee and other facilitators. Looks offer all the properties of the hospitals. Ensures operating procedures in the proper way. Provides full logistic support to the departments as well as employees. Deals with Intra & outer communication for the administration issues. Plan for the development of company. Looks after maintaining of property. Develops plan for support service. Ensures security of the company. Deals with accounting activity related to the administration. Works on operational level on the support system of the company. The HRM activity designed to provide performance feedback to employees. This feedback serves a variety of purposes and makes potentially significant contributions to organizations and individual employees alike. Indeed, we can almost think of performance-related feedback as being like a ship’s navigational system. Without such a system, the ship’s captain would have no way of knowing where the ship was, where it had come from, and where it was heading. Similarly, without an effective performance management system, organizations and individual employees would have no way of knowing how well they were doing or where improvements might be needed. Performance appraisal is the process by which an employee’s contribution to the organization during a specified period of time is assessed. Some organizations actually use the term performance appraisal, whereas others prefer to use terms such as performance evaluation, performance review, annual review, employee appraisal, or employee evaluation. Regardless of the term used, this chapter is concerned with preparing managers and other employees to cope with today’s workforce diversity in the management and appraisal of performance. Employee benefits typically refers to retirement plans, health life insurance, life insurance, disability insurance, vacation, employee stock ownership plans, etc. Benefits are increasingly expensive for businesses to provide to employees, so the range and options of benefits are changing rapidly to include, for example, flexible benefit plans. Compensation includes topics in regard to wage and/or salary programs and structures; for example, salary ranges for job descriptions, merit-based programs, bonus-based programs, commission-based programs. Compensation includes topics in regard to wage and/or salary programs and structures, for example, salary ranges for job descriptions, merit-based programs, bonus-based programs, commission-based programs, etc. Compensation is payment to an employee in return for their contribution to the organization, that is, for doing their job. The most common forms of compensation are wages, salaries and tips. Compensation is usually provided as base pay and/or variable pay. Base pay is based on the role in the organization and the market for the expertise required conducting that role. Variable pay is based on the performance of the person in that role, for example, for how well that person achieved his or her goals for the year. Incentive plans, for example, bonus plans, are a form of variable pay. (Some people might consider bonuses as a benefit, rather than a form of compensation.) Some programs include a base pay and a variable pay. Organizations usually associate compensation/pay ranges with job descriptions in the organization. The ranges include the minimum and the maximum amount of money that can be earned per year in that role. Employees have certain monies withheld from their payroll checks, usually including federal income tax, state income tax, FICA (social security) contributions, and employee contributions to the costs of certain benefits (often medical insurance and retirement). The Prime Group of Companies maintain fair and competitive remuneration packages based on business needs and competitor practices. A compensation and benefit survey is conducted on a regular basis, which involves the Company obtaining salary information form other Company in Bangladesh such as united hospitals, Shqdar medical, square hospitals. The compensation package includes a competitive salary, and progressive benefits, all designed to influence and reward personal achievement. PGC follows a well-defined wage structure and fringe benefits for its employees. The wage structure is updated periodically (Two years terms) by the management. Salary is as stated in the appointed letter. However, any changes will be notified in writing. Upon satisfactory completion of the probation period a basic monthly salary increment of 10% will be awarded. Furthermore, employee’s salary will be reviewed on an annual basis in April according to his/her performance and may be adjusted at the discretion of PGC. Monthly salary will be credited into staff account, which he/she opens upon joining the Dutch- Bangla Bank. Salaries are paid on 25th of each month in arrears, plus other allowances less deductions such as Income Tax, contribution to Provident Fund etc. Each employee will receive a monthly pay statement detailing gross pay and deductions. Various allowances are paid in the PGC such as Housing Rent, Conveyance, Leave, Tiffin, and Medical. The hospitals awards bonuses in addition to basic salaries for occasions such as Ed/Christmas, as Festival bonuses. In order to support the PGC’s wish to see employees rewarded based upon the work they do, it is necessary to establish the parameters of each job. The PGC does this through the use of job descriptions and job evaluation. To provide a record in the nature and content of a particular job. To summarize the qualification required for competent performance of a job. Whenever an employee feels his/her job description needs to be amended, should contact his/her Line Manager, and if necessary re-write the job description and submit this to the HRC. By establishing a hierarchy of jobs, management can plan career progression of each employee to support their individual development. Moreover, the structure can be used to design job rotation and training programs so that employees have an opportunity to use their talents and learn as much about banking as possible, in order to advance their careers. Employee benefits typically refers to retirement plans, health life insurance, life insurance, disability insurance, vacation, employee stock ownership plans, etc. Benefits are increasingly expensive for businesses to provide to employees, so the range and options of benefits are changing rapidly to include, for example, flexible benefit plans. Benefits as being tangible or intangible. The benefits listed previously are tangible benefits. Intangible benefits are less direct, for example, appreciation from a boss, likelihood for promotion, nice office, etc. People sometimes talk of fringe benefits, usually referring to tangible benefits, but sometimes meaning both kinds of benefits. Benefits as company-paid and employee-paid. While the company usually pays for most types of benefits (holiday pay, vacation pay, etc. ), some benefits, such as medical insurance, are often paid, at least in part, by employees because of the high costs of medical insurance. The PGC reserves the right to vary the rules of employee benefits from time to time. The Staff Provident Fund Scheme is a voluntary contribution scheme. The employee will be entitled to join the scheme upon completion of the probation period. The employee will be entitled to benefit from the scheme after completion of five years service & payment will be made upon resignation, termination, and retirement. The employee will also be entitled to a gratuity payment equal to one month’s basic salary for each year of service after five years upon his/ her resignation, retirement. Married employees will be entitled to a medical allowance for their respective grade for their spouse & children up to the age of 19. Single employees are entitled to fully of the medical allowance for their respective rank. In both cases medical expenses incurred will only be reimbursed when supported by approved medical vouchers. Imagine yourself as part of an international healthcare institution in Bangladesh! They said Congratulations on successfully completing your graduation, and all the best for those of you who are still working hard on papers and exams! As the leading international healthcare organization in Bangladesh, PGC welcomes talented students to join its dynamic team after they complete their studies. Strongly committed to developing there people, they have training programs and opportunities in place, enabling highly motivated graduates like me to realize my potential and make direct contributions in the real business world. PGC is an equal opportunity employer, offering competitive compensation packages, excellent career developments programmers and a friendly working environment. When the employee shows the necessary ability to undertake a job at a higher level, appraisal performance ratings; aptitude testing. A separate policy is available from HR/ADMIN department for employee reference & guidance. Performance Appraisal is a process of communication between the person who assigns the work and the person who performs it in terms expectations set at the beginning of a performance year. Employee’s performance throughout the year or in specified period should be evaluated in a fair and systematic manner. Performance appraisal lets employee known what and how well they are performing and what level of efforts and task directions are needed in future for self-development as well as for Hospitals effectiveness. The company follows graphic rating Scale systems for the performance appraisal. Although, the appraisal system is non-participative, the employees are annually assessed by a joint consultation with their immediate supervisors and departmental heads. The management of PGC should regularly administer marketing research activities in order to keep a regular track of satisfaction levels. Regular research should also be conducted to find out customer expectations about various service aspects. As customer expectations and satisfaction are not static figures regular research at sufficient intervals should be conducted. The PGC should focus more on existing customers in order to build strong and loyal relationship with them as satisfied customers more aptly or certainly recommends the hospitals to friends and relatives. Thus the power of relationship will foster positive Word of Mouth Communication and will attract new customers at a lower cost. Customers showed a huge dissatisfaction with current locations as PGC provides services from only 1 hospital throughout Bangladesh. New hospitals should be constructed in Chittagong city satisfying more geographic segments. As convenience of hospitals location was a very important factor for the customers PGC should consider building new hospitals in Chittagong city as well as other metropolitan cities of Bangladesh. PGC should pursue an aggressive advertising campaign in order to build up a strong image and reputation among potential customers. In this context, the valuable strengths should be used for positioning the corporate image of the bank. TV ads should be aired to reach a wider array of customers. The ads should capitalize on building strong relationship, needs of customers and quality service of the hospitals rather than features of products. Thus and offensive marketing strategy emphasizing customer satisfaction and service quality can bring valuable business for the PGC. Contract employees should be eliminated from the customer service departments as they lack the commitment and willingness to serve customers. One serious mistake can take away valuable customers and years of relationship. PGC is a big and profitable company but there social responsibility or normal activity is very narrow in country if they emphasize there activity in Bangladesh it is good for there increasing market growth rate. Employees are jump to other job for better opportunity if PGC can give his employs better facility and motivate them then they can protect this type of problem. Lower levels Employee are not interested for training for this type of problem the PGC should realized them the necessity of tanning. There in no Suggestion and service awards for the employee if the PGC can intradoses this kind of awards its help to motivated to the employee. PGC is an internationally reputed Company operating in Bangladesh who maintains an excellent and distinct culture in the Garments industry in terms of the quality of its manpower. The highly qualified and trained manpower of the Organization has made it possible to stand out as one of the good Company having outstanding performance. Strictly adhering to the selection and recruitment policy has enabled this Organization to recruit the best people from the job market. Along with this best breed, pragmatic training and development policy of the Organization has sharpened the manpower to achieve its own goal as well as the goal of the organization. The picture depicted by the scenario of PGC is similar to that of other Organization operating in our country. But it is quite different in the local private Organization where lack of selection and recruitment policy and lack of proper training and development policy are increasing the number of under skilled manpower in these Companies. As a result, desired output of these Companies is not achieved. Although many other things are involved to maximize the goal of the organization, recruiting under qualified people and ignoring the need of training and developing the manpower should be emphasized to maximize the output of the Organization. Local private Organization can borrow the knowledge of these foreign Organizations operating in Bangladesh in terms of developing the different policies guiding the Organization to achieve its objectives. Most of the local private Organization either does not have a selection and recruitment policy and a training and development policy, or they do not follow these policies due to the interference of the owners of the Organization. As a result, these Organizations suffer. To improve the condition, health ministry may formulate these policies and the local private Organization may be asked to strictly follow it.